Finally, the Rajini-darbar comes to an end, with the Thalaiva addressing the fans on the fourth day. Looks like, this came as a befitting reply to Sarath Kumar's "outsider" remark against him, earlier this year. "I am 67 years old. I lived in Karnataka for 23 years and in Tamil Nadu for 43 years. I have lived and grown with you. You have been truly loving and welcoming and made me a true Tamilian. If I have to live anywhere in this world that will be in Tamil Nadu," he said. For the unversed, actor-turned-politician Sarath Kumar, in the past, labelled Rajinikanth an "outsider" Kannadiga, who stepped into Tamil Nadu to find work. This remark came after the ' Kabali' star, at an event, observed that he misses actor-political satirist Cho Ramaswamy, at a time of "unusual political developments in the state," following the demise of late chief minister Jayalalithaa. His statement was touted to be in reference to Sasikala taking the reins of AIADMK. Kumar, who contested on the AIADMK symbol in the Assembly election from Tiruchendur in Tamil Nadu in May 2016, on this note, said that Rajinikanth should be careful about his comments on public platforms; adding that the former will be the first to oppose the ' 2.0' star, if he tries his hands in politics. During the event, Rajinikanth today further said, "Both support and oppose is a part of the system. You can't grow without any opposition. And in politics, it is inevitable and you have to live with it." He also thanked the organisers and the fans for their relentless support. "I thank the staffs and the police, who made this event a success. I also thank my fans for their relentless support over the years," he said. 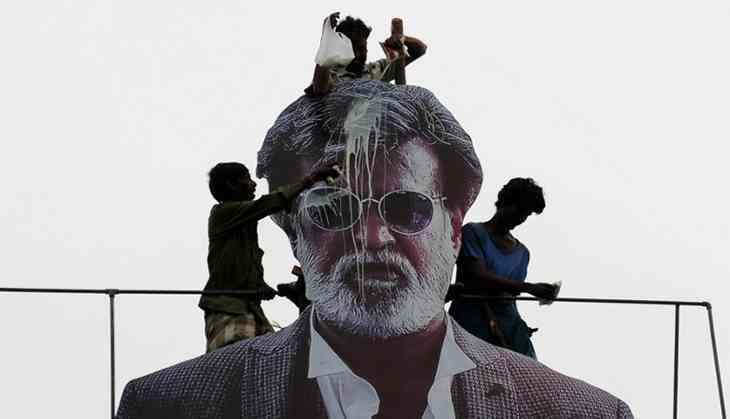 In the Rajini-darbar, the superstar met his fans in "batches", between May 15 and 19. Invitations were sent to all the respective fan clubs to attend the various sessions.